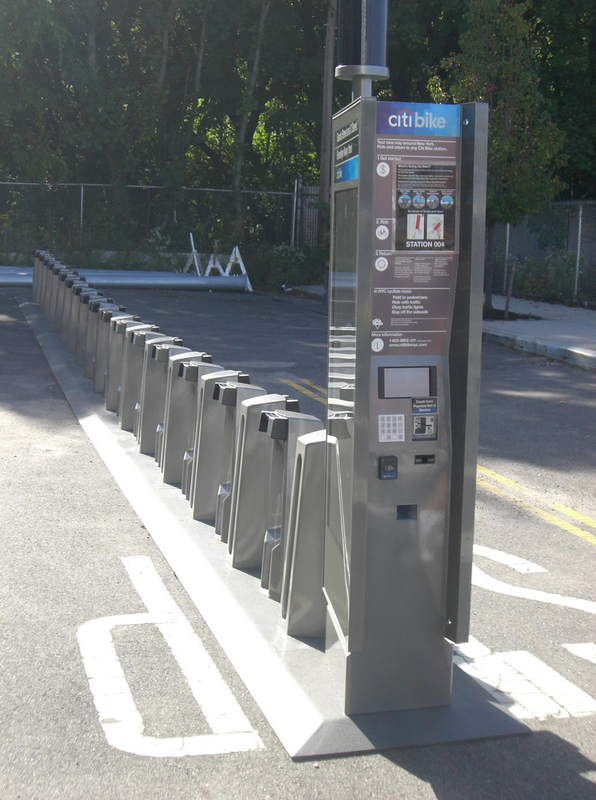 Michael Cairl, the president of the Park Slope Civic Council, snapped this picture of a Citi Bike Station at the Brooklyn Navy Yard. Without any bicycles attached this one obviously isn’t operational, but it still gives a better sneak peak than the faux one-bike docking station used for the sponsor announcement in May. 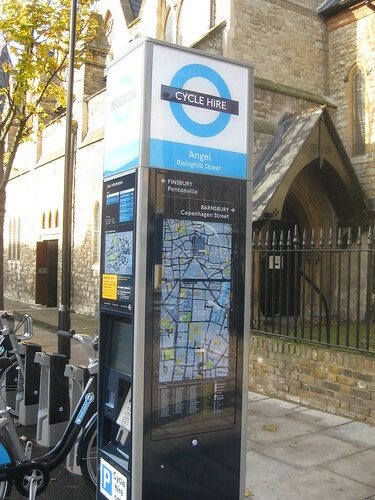 Note the solar pole on top of the kiosk and the fact that this particular station seems to allow for parked bikes to alternate directions. Most stations in other systems tend to have the bikes all facing the same way, so perhaps they’re tailoring some to squeeze a lot of bicycles into some tight New York City spots. could be a controlled test of the software! Nice find. Alas, this is America, and not Europe, and we’re ‘too poor to have nice things’.